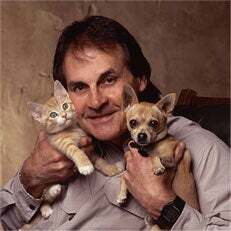 Until today, I'd seen no evidence that Tony La Russa had ever in his life been intentionally funny. I believe the funniest thing Tony La Russa ever said was probably, "Nah, I'm just tired, officer." Tony La Russa treats funny the way he treats a lefty reliever facing a righty in the sixth inning of an early-June game in Milwaukee. Tony La Russa doesn't do funny, and I think that's at least partly because Tony La Russa doesn't want to screw with his image as a thinker of a great thoughts. If he cracked jokes all the time, would he still be treated as baseball's towering intellect? Would people write about his batting a pitcher in the eight hole as a tactic on a par with Lee sending Jackson around the left flank in Chancellorsville? Would he still get to kick it with George Will? So once again, La Russa will use Lance Berkman and Allen Craig in the outfield, only the manager moved Craig from right to left field and vice versa with Berkman. So Tony, how did you determine who would play left or right? "It's my tribute to Moneyball," La Russa said. "I'm not a big Moneyball fan. I have this little place, don't have a big place. So what we do is we take the square footage between the right field line and center field and the square footage and from left field to center field, divide that by pi and we multiply it by bulls***, and then we pick the dugout. The field that's closest to the dugout and that's where Lance plays. That's almost always true. Some places there may be—if it's spacious, probably not good. Here it's close to the dugout, that's where he plays."